The India coach insists football has knocked cricket of its perch -- at least for a little bit. Abu Dhabi: A nomadic English coach whose colourful career has taken him from Millwall to Malawi has got cricket-mad India dreaming of Asian Cup football glory. 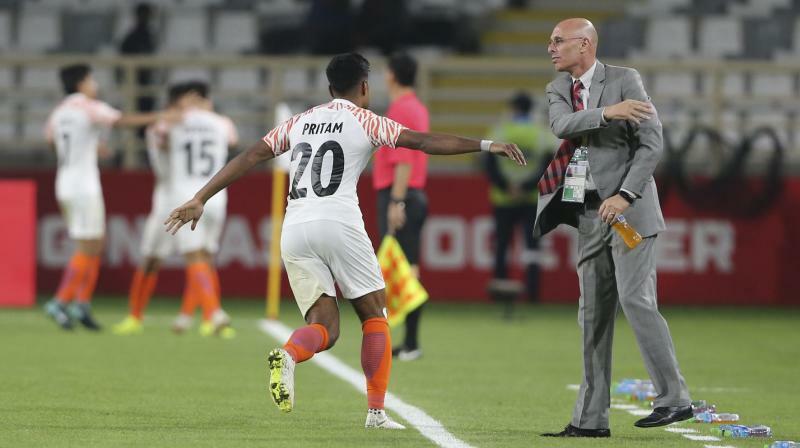 India stunned Thailand 4-1 in their opening match last weekend to record their first victory at the tournament in over 50 years and despite losing 2-0 to hosts United Arab Emirates, Stephen Constantine insists football has knocked cricket of its perch -- at least for a little bit. "After qualifying and two outstanding performances we have done that and more," the 56-year-old Londoner told AFP in an interview. "Indians do love their cricket but you really are seeing a metamorphosis in football and that is really something to be proud of. "To get to the knockout stages would be massive," added Constantine, who has repeatedly been overlooked for jobs in his home country. "But whatever happens, we've already overachieved." Veteran striker Sunil Chhetri overtook Lionel Messi in international goals during the win over Thailand, earning comparisons with India's cricket skipper Virat Kohli for his heroics, and the Blue Tigers still have their eye on a place in the last 16. "Football is as popular in India in my opinion -- it's just not written about as much," said Constantine, who witnessed conflict, bloodshed and human suffering in his time coaching Malawi, Sudan and Rwanda before returning for a second spell as India boss four years ago. Despite a population of 1.3 billion, India has barely registered on the football map -- until now. "In a nutshell it's down to the players, they have given me everything," said Constantine, whose young team face Bahrain on Monday in their final Group A game. "I'm so proud of the work rate, determination and the attitude of the players." "That holistic approach has proved to be successful over the last several years both here in India and in other countries I have coached in," said Constantine, who as Sudan coach once had rifles pulled on him while driving from Khartoum to scout a player.